The SPC Pro is incredibly easy to hook-up – normally it’s a case of clipping on the flex hoops, plugging in the power lead and pressing the start button! Download is equally easy – simply plug the USB lead into your PC and our PowerPackPro software will find the logger automatically and guide you through a foolproof sequence to ensure that accurate results for voltage, current, power factor, kilowatts and kilowatt hours are configured for immediate viewing. The instrument uses a completely secure and non-volatile ‘flash’ memory and has its own back-up for its on-board clock. It also features a powerful integral battery for stand-alone use allowing it to be used as a “current only” logger for short periods of time. 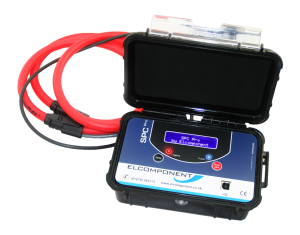 Elcomponent has been providing innovative, cost-effective solutions for electricity and energy monitoring and metering. We’ve been helping you manage energy since 1986. Our data loggers are accurate, reliable and easy to use. Our metering systems are installed by our own engineers and deliver accurate data in any environment for all utilities. Our software packages encompass both site-based and cloud-based solutions and all are affordable, tightly-focused and easy to use. Our experience covers both public and private sectors and with over 5000 satisfied customers our track record speaks for itself.